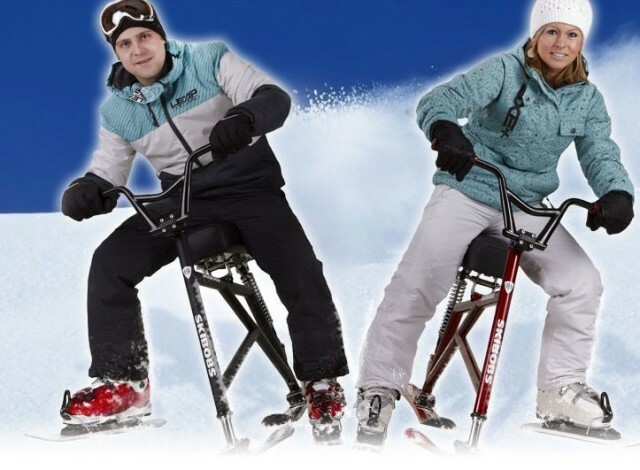 Skibob is an excellent alternative to skiing and snowboarding, suitable for all who do not want to spend many days in slow and subsequent training and improving of riding. The control and riding of the skibob are very intuitive and just after few hours of training you will be able to go down the slope having the speed of an average skier. The skibob can also help those who due to various health limitations cannot ski or ride on snowboard in the scope in which they were used to do so and who want to get back on the slope. As for our skibobs we accentuate the quality of production and the safety. That is why we have cooperated with best professionals within this domain in developing our frames. The construction of our skibobs is made of the top quality materials, as the premium Cr-Mo steel and the stainless steel are. A series of components of our skibob is made by the perfect machining using the CNC machines. We have entrusted the production of skis to the renowned company with long term experience of which skis are used also by the Czech skibob representation and some of German ski sportsmen. The seats of our skibobs are hand-made and sewn from the real leather or the hi-tech material used also for motorbike saddles. Handlebars, head composition, stem, grips, seat absorber, this all is chosen regarding the quality, your safety and comfort. Thanks to our responsible approach, cooperation with real professionals and to our nearly twenty years´ experience in the metal production, metallurgy and sport the really top product has been created thanks to which you can enjoy long hours of excellent fun on the snow. About Skibobs.eu – We focus mostly on construction quality and safety in our skibobs. Frydecka obchodni s. r. o.
Skibob is excellent for those who do not want to devote many days to gradual and slow improvements in skiing and snowboarding.